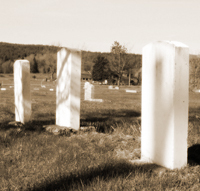 Over 56 Lewis County Cemeteries have been transcribed by Lewis County Genealogical Society and area Volunteers. Find-A-Grave ~ Millions of Cemetery Records! >>Refer to the town list on the right for links to the full list headstone information for each cemetery. In March and April, 1996, a group of genealogists organized the Kentucky Comprehensive Genealogy Database. The idea was to provide a single entry point for all counties in Kentucky, where collected databases would be stored. In addition, the databases would be indexed and cross-linked, so that even if an individual were found in more than one county, they could be located in the index. At the same time, volunteers were found who were willing to coordinate the collection of databases and generally oversee the contents of the web page. The Washington Gen Web Project is part of the USGenWeb Project, an extension of the KY Gen Web Project.